"At the dinner table my children talk of their teachers with love, respect, gratitude and compassion. And...every time I walk into any of the school buildings, there is a sense of pride, a sense of love and sense of family." When you make a gift to All Saints Central Schools you are helping to carry on the legacy of Catholic School education in Bay County. Our Catholic schools remain alive and well thanks to the generosity of those who offer their financial support in order to preserve Catholic schools for upcoming generations of children. Gifts to All Saints Central can take many forms including contributions to the Annual Appeal, Cougar Care Fund, Scholarships, Technology Wish List, Memorials, or Planned Giving. We can't thank you enough for thinking of a gift to benefit the schools. The Annual Fund appeal is conducted each Spring. The Annual Fund appeal is a purposeful unrestricted "ask" for funds to assist in the development of the schools as a whole. The Annual Fund assists in covering the gap between tuition and the actual cost of educating a student at our schools. Your gift makes a daily difference as Annual Fund dollars assist with financial aid, technology upgrades, academic support, educational development, and faculty development. The Cougars Care Fund is a relatively new initiative that typically hits mailboxes in the Fall. This appeal honors those who have given impressive service to All Saints Central schools and raises funds in their name specifically for tuition assistance. Donors wishing to help families achieve the dream of providing a Catholic school education for their children may choose to establish a scholarship. Scholarships can be awarded on merit (grades), financial need, community/extracurricular activities, and geography, as well as other criteria allowed by law. All scholarship funds are distributed according to the donor's wishes as allowed by law. For more information on establishing scholarships, please email Wendy Carter, Advancement Director or call 989.892.2533 extension 121. Our schools are committed to providing the best technology available for students to improve their learning. Pride is taken in being a regional leader in students' use of computers, iPads, SMART boards, and SMART tables, to name a few offerings. One of the great ways that these are funded is through the generosity of donors. Please contact Director of Technology for ways in which you can provide funding or equipment to support our incredible technology program. Memorials are a heartfelt way to show your support for All Saints Central schools. If you would like to recognize a loved one's passing by recommending donations to our schools, you can simply suggest that checks be made payable to All Saints Central. You are welcome to identify a specific area for money to be used or you can have us assign it to an area of greatest need. 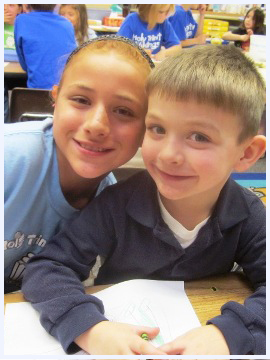 Planned giving is easily defined as making the decision now to make a future gift to All Saints Central Schools. It is a way of proclaiming your faith in our mission of educating students in the Catholic faith and making a difference in the lives of future students. There are a number of ways to make a planned gift. This is a gift that does not affect your lifetime cash flow. This gift can be a specific amount, a percentage amount, or a remainder amount. Assets remain under your control and you can modify your bequest at any time. Your retirement plan may be worth more when donated to All Saints Central. By designating a portion or all of your plan balance to ASC, you avoid the double taxation your heir would inherit. You can adjust your beneficiary(ies) at any time should your circumstances change. By transferring ownership in a life insurance policy, you receive gift credit and an immediate income tax deduction without adversely affecting your cash flow. Or perhaps make an investment in a new policy and name All Saints Central the owner and beneficiary. Charitable gift annuities are a very popular life income gift vehicle. In exchange for your irrevocable lifetime gift of cash, stocks or bonds, you receive fixed payments for the rest of your life and tax benefits. Assets of any kind are welcome and usually garner large tax benefits. Gift your house, live there for life, and receive an income tax deduction. Avoid paying capital gains tax with some of these types of gifts. To learn more about giving to All Saints Central Catholic Schools, please email Wendy Carter, Director of Advancement or call 989.892.2533 extension 121.